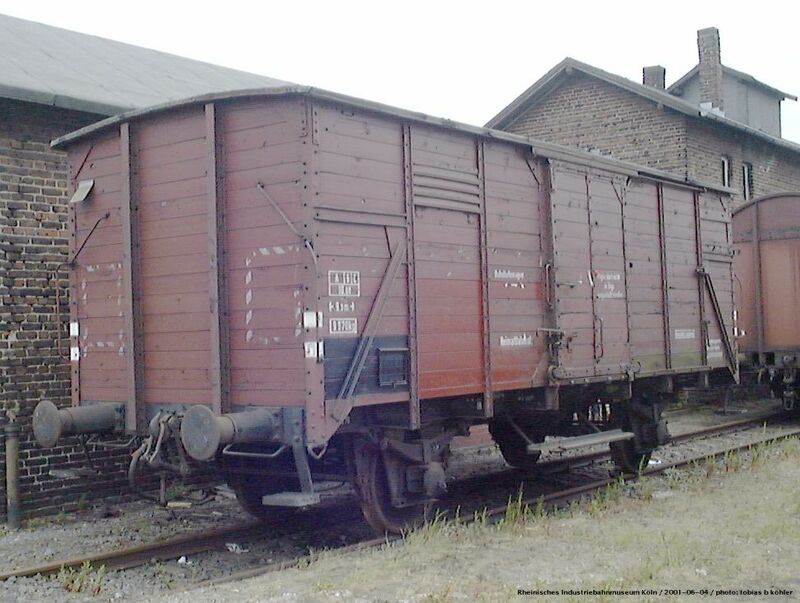 Old wooden freight car, later used as stationary "Bahnhofswagen" (storage space in a station, not to be coupled to trains). Rheinisches Industriebahnmuseum Köln, 2001-06-04. 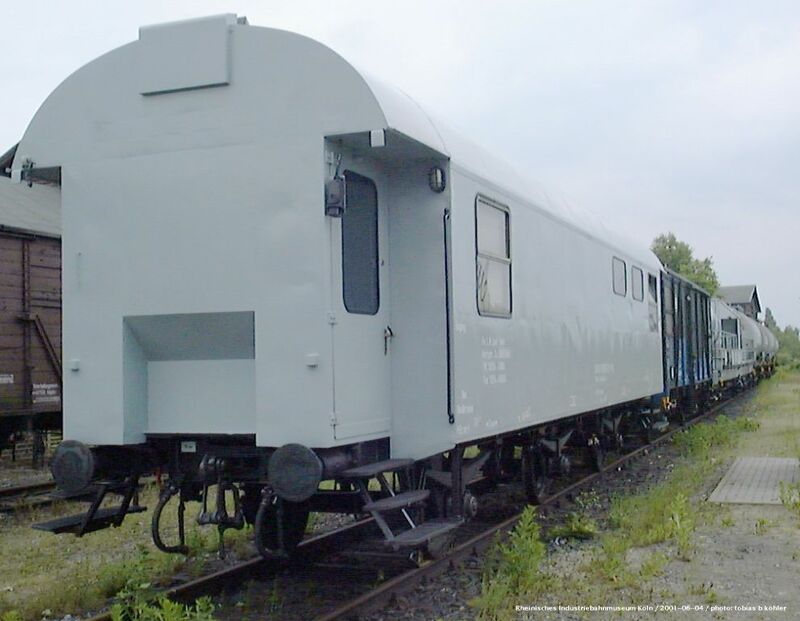 This is is one of the infamous "weed trains", consisting of a crew car (rebuilt from a 3-axle rebuilt DB car), an equipment car, a spray car and four water cars. As the chemicals contaminated the drinking water, these trains were retired, and the DBAG is still looking for an effective and environmentally friendly way of eliminating weed in the tracks. Rheinisches Industriebahnmuseum Köln, 2001-06-04. 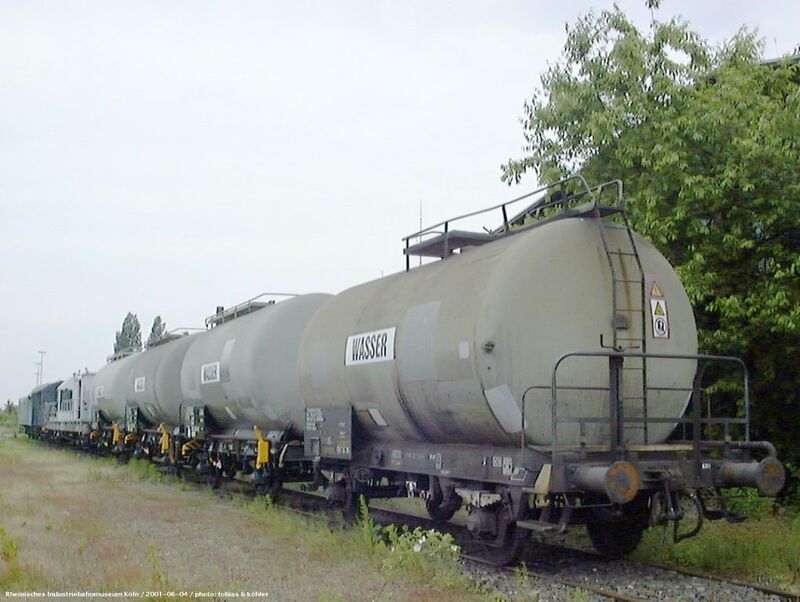 The other end of the weed train with four water cars (ex EVA petrol tank cars). Rheinisches Industriebahnmuseum Köln, 2001-06-04. 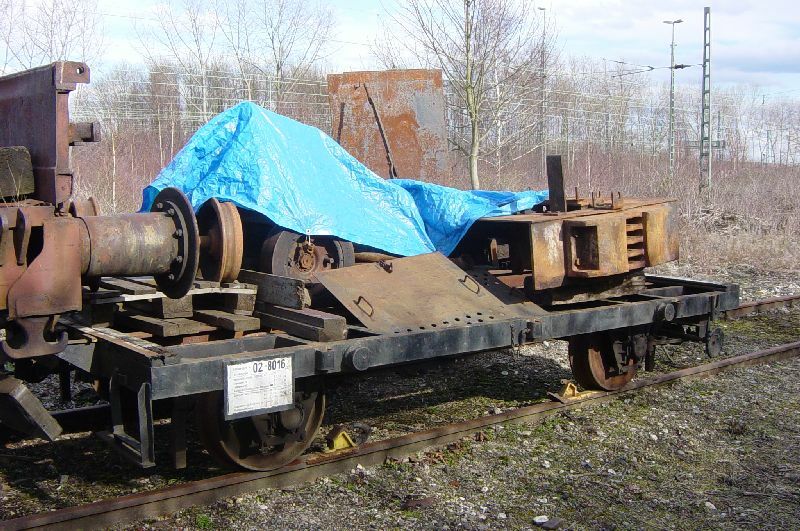 A Zagro shunting device seen at the RIM (Rheinisches Industriebahn-Museum Köln-Nippes) on 12 October 2003. 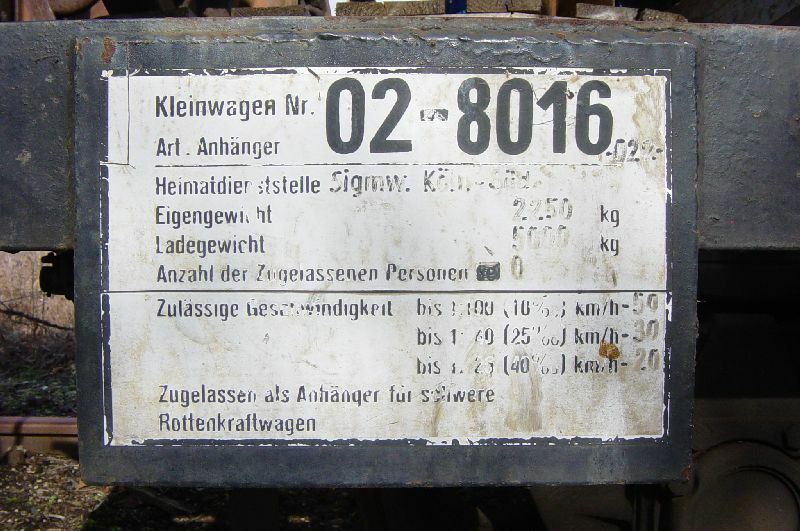 It is a very cheap possibility to shunt freight cars if you already have a forklift (as most companies which handle significant amount of materials do). 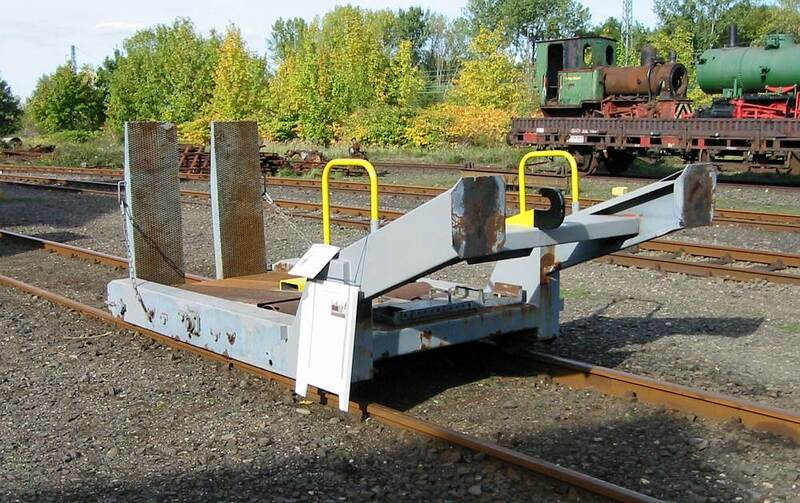 The forklift transports the device to the track, sets it onto the rails and drives onto the device. A gear inside tranmits the driving forces from the forklift's wheels to the rail wheels.